Ronny Haenold lead the former Research Group of Falk Weih as provisionary head until December 31st, 2017. He will continue his research as Senior Scientist in Englert Research Group. The research focus "Immunology of Aging" will be covered by newly installed Research Group of Claudia Waskow. An intact immune system is crucial for health, especially in older age. The former research group of Falk Weih, which was until the end of 2017 provisionally lead by Ronny Haenold, layed its research focus on the impact of gene regulator NF-kappaB on the immune system. This transcription factor is a protein complex that can switch gene transcription on or off. 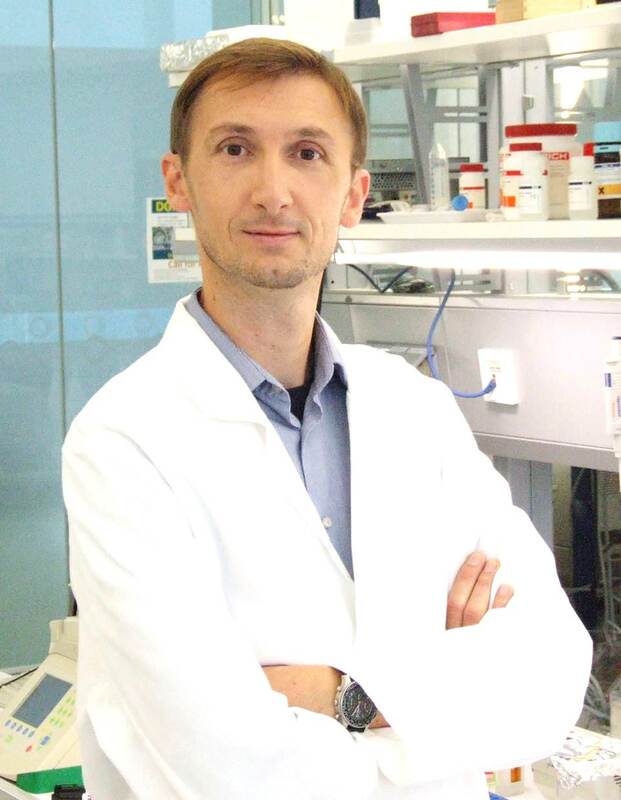 Further, the lab investigated how NF-κB is involved in the emergence of inflammations and autoimmune diseases. With the help of genetically altered mouse models they were analyzing the NF-κB signaling pathway in both normal development and pathological alterations of the immune system. One of the group's goals was a better understanding of NF-κB function in age-related immune deficiencies and disease. In vertebrates, five genes code for several subunits of NF-κB. To become inactive, NF-κB binds on an inhibiting IkB-molecule within cytoplasm. To reactivate NF-κB as transcription factor to switch genes on and off, stimulation through extracellular signaling molecules or intracellular messenger substances is needed, which – in several intermediate steps – induce the IkB-molecules’ degradation such that the NF-κB-complex is set free. Two signaling pathways are relevant for this: the 'classical' and the 'alternative' pathway – both having layed in the focus of the Weih/Haenold research group.